Whether it’s raising our voice in parliament, designing cutting-edge safety programs or fostering collaboration between members, the AMTA is advancing Alberta’s transportation industry. As your partner and advocate, we’re your source for leading education, industry involvement and career development. Tap into all of our membership services, and take every opportunity to learn, connect and share your perspectives. Carrier members provide the financial support to AMTA through annual membership fees to ensure that we keep road transportation issues and needs at the forefront of provincial, federal and international agendas. AMTA works with senior leaders of truck and bus fleets to develop and advocate for solutions to road transportation issues and opportunities. Our programs and services have been developed in response to the problems, challenges and opportunities that are impacting our member companies. In order to be effective advocates for the issues that matter most to fleets that operate in Alberta, our programs and initiatives also aim to educate and inform our stakeholders and the general public about why those issues should matter to them too. Our work encompasses a broad range of environmental, social, economic, safety and compliance matters that impact Alberta fleets. On trucking issues of national scope, we work in tandem with the Canadian Trucking Alliance, the federation of provincial trucking associations. 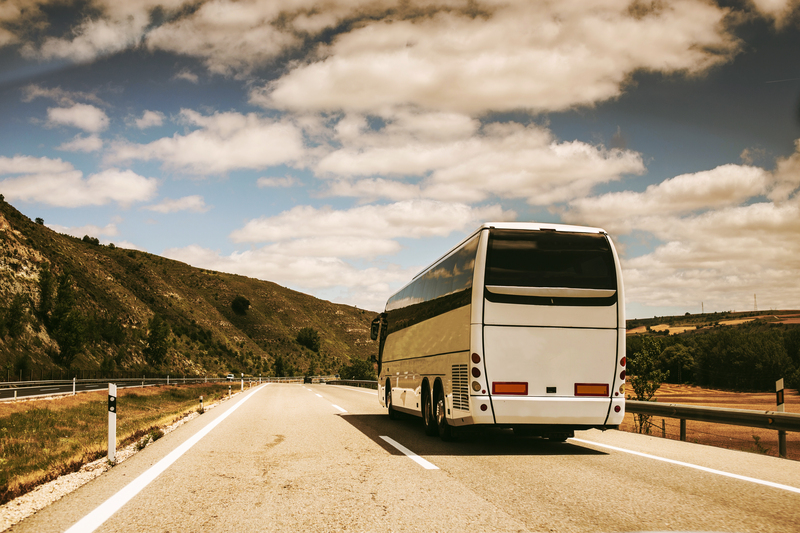 Similarly, we work with the Canadian Motor Coach Association to advocate for the motor coach industry. AMTA positions are developed in response to the problems, challenges and opportunities that are impacting our members. Policies are developed by our member-led committee comprised of Compliance and Regulatory (CRA) members in conjunction with AMTA staff. Through participation on committees, responding to members surveys, or just by contacting us, members play a vital role in strengthening AMTA’s voice. As an employer, it is in your interest to be active in injury and illness prevention to meet responsible public policy and legislative responsibilities for the health and safety of workers, and to help achieve a healthier and safer workplace. We offer broad sector training developed specifically for the industry by health and safety professionals with an extensive understanding of the transportation industry. AMTA is your go-to source for programs that are affordable and tailored to the transportation sector. Training Courses – AMTA provides leading-edge, high quality health and safety training programs that assist companies in building comprehensive health and safety systems based on internal responsibility and due diligence. We offer over 250 in-class and online courses that span workplace health, safety and high-risk activities. We provide most of the certifications and training programs required by the industry. Our online training utilizes a state-of-the-art learning management system to track, manage and administer the certifications most frequently required by fleets and employees of the road transportation industry. There is also easy access to an archive of training records. AMTA’s simulator training is realistic and economical, and our mobile unit can be brought to your operation. Simulators provide a great opportunity to test driver reaction and hone specific driver skills in situations that would be impossible to recreate safely out on the road or on a track. There is no better way to safely simulate weather conditions, animal strikes, actions of other road users or loss of air pressure outside of a simulator. Each month, information sessions are held in various locations throughout the province. AMTA staff deliver important updates on key issues of the day, and guest speakers are brought in from Alberta Enforcement and other key stakeholders who impact the industry. The meetings are an outstanding opportunity to bring questions forward on operational issues and to network with other industry members. Effective health and safety management systems have been shown to have an impact on reducing injuries. Eliminating social and financial effects of injuries can strengthen the success of a business. AMTA offers a variety program to meet member needs. A COR is awarded to employers who develop health and safety programs that meet standards established by the Government of Alberta. COR is a partnership been the Alberta Government and Certifying Partners, like AMTA. The designation shows that the employer’s health and safety management system has been evaluated by a certified auditor and meets provincial standards. Team members are selected from applicants throughout the province and are chosen because of their collision-free driving record, commitment to safety and enthusiasm for the road transportation industry. Road Knights are located in different parts of the province to broaden their geographic reach. The mission of the AMTA Road Knights is to make our roadways safer by encouraging all road users to be partners in safety. The team also works to increase awareness of trucking’s economic importance and to promote the industry as a viable career choice. PIC is a voluntary compliance initiative available to companies who demonstrate a safety culture and are truly committed to compliance. PIC is a program of the AMTA. Companies that participate in PIC receive numerous incentives including Alberta Safety Fitness Rating of ‘Excellent,’ no charge for obtaining unlimited number of Alberta Carrier Profiles, fee waived for annual CVIP shop and more.